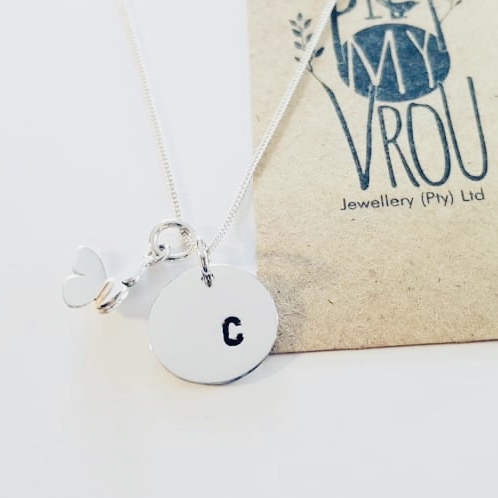 Home > Shop > Pietmyvrou > Sterling Silver Personalised Disc and Butterfly Pendant with Chain. 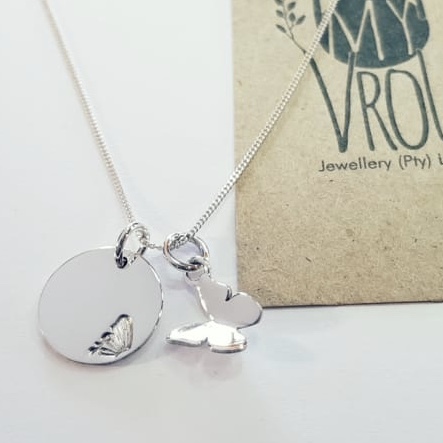 Sterling Silver Personalised Disc and Butterfly Pendant with Chain. Sterling Silver 15mm Disc with an Off Centre Stamped Initial Infront and Half Butterfly Wing Stamped at the Back. A Sterling Silver 12mm Butterfly Pendant and a Sterling Silver 42/45cm Fine Curb Chain.